Preparation is often the key to having a positive new experience, wouldn’t you agree? When I prepare for a presentation or prepare to go out for dinner with a group of people I don’t know well – rather than just jumping into it without giving myself time to get ready and get in the right head space – it all goes so much better. Young children are the same! They appreciate a bit of preparation like anyone else, and I wager that the extra effort it takes to help them prepare for a new experience pays itself off tenfold. 1. Explain what the event is. Whether it is a birthday party or a first dentist appointment or a new playgroup, new experiences can be tricky for kids when they don’t know what to expect. Tell your child about the event in question well ahead of time (at the minimum a few days) giving lots of details about what it will be like. Role play or playing with dolls can be extremely helpful. If you have a storybook or some pictures of the event/place you are going, all the better! Explaining a few times in the week leading up to an event can be very helpful. 2. On the day, tell them ahead of time where you are going. About an hour before you leave for the event (or the morning of the event, if it’s scheduled for the afternoon), remind your child where you are going. “Remember when we talked about our new playgroup last week? This is the morning we are going! Let’s finish up our game and tidy up. Then we get our shoes on and go out to the car.” At this point, your child may ask questions or share some concerns. Giving yourself some extra time to address these questions is very important, so your child feels mentally prepared before you are heading out the door. Rushing is not fun for anyone, and we often miss our children’s concerns when we don’t have enough time to figure out what they are. I find this habit of talking things through well ahead of time also prevents tantrums brought on by anxiety. Remember your kids have real emotions, too. 3. Stay connected when you arrive. It can be tempting to chat with friends or get carried away with what is happening when you arrive somewhere. 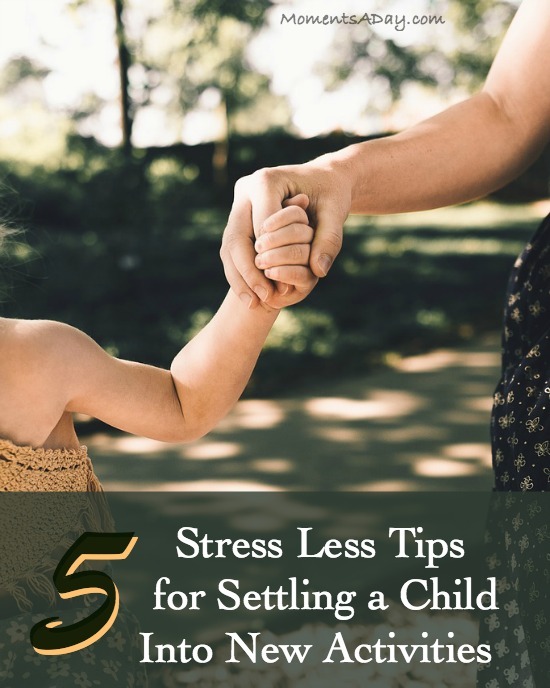 But keep your attention on your child and make sure they are settling in okay. Getting down to their level and pointing things out can be extremely helpful, as is carrying them or holding them on your lap if they are feeling a bit nervous about the new environment. Always gently introduce them to new people and give plenty of encouragement as they feel out the new space. Let them know you are there for them or who else they can turn to for help if they need it. 4. Stay aware of your child’s needs. Snack time and bathroom habits can be unintentionally altered when you are visiting a place new. Remember to look out for the needs of your child and meet them in a timely manner whenever possible. Even things that seem unimportant to adults can be a big deal for little people, so don’t ignore their concerns about a new toilet or the extra noise in the background. Watch their body language, especially if they are younger and not able to express themselves in words. Be sensitive and try to address your child’s feelings even with all the other distractions around. 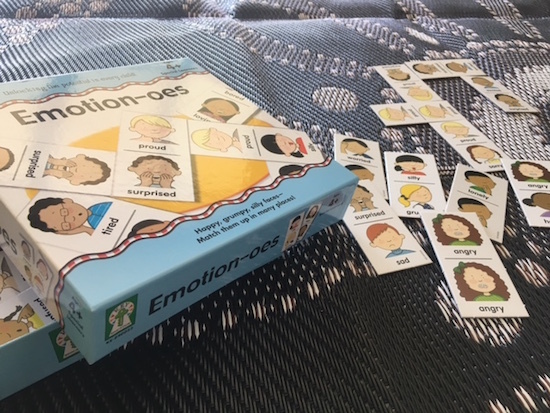 Help your child name and recognise emotions with activities like these. 5. Follow up with conversation afterwards. After you leave the activity or event, talk to your child about what happened there. They may have questions or mistaken observations about what went on, and it is easiest to address these when they are fresh in the mind. Resolve any issues they may have faced, and give them lots of cuddles if they are feeling exhausted from the new experience. You may like to take some mental or physical notes about what to try differently next time, if ideas crop up. 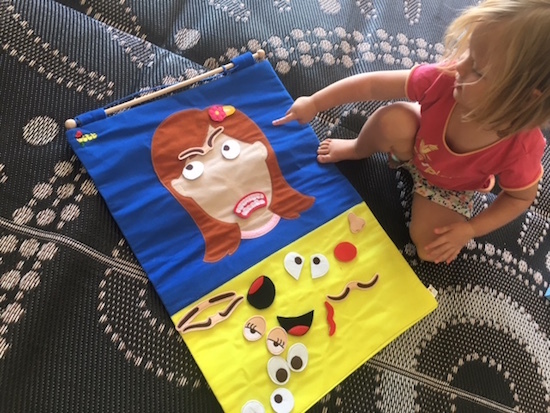 If you are the person preparing an activity for young ones, whether it is a playgroup or a class, here are some of my personal tips. Consider how your environment will influence the children at the event. 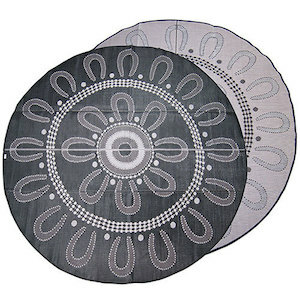 Use a circle mats so that the children have an inviting, comfortable place to sit and it is easy for them to get into a circle. 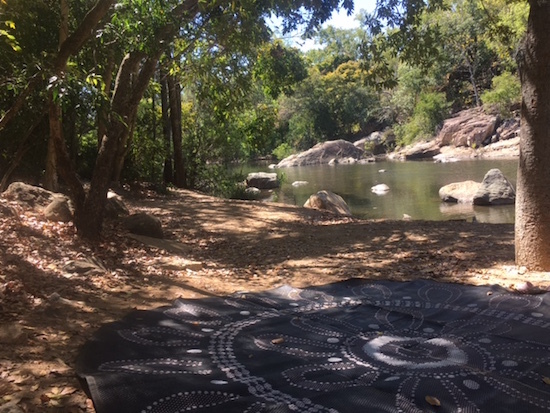 We love our Campfire Mat from Recycled Mats not only because it has a gorgeous design but because it is made from materials that would otherwise have added to landfill. It’s also great for the outdoors as well as indoors, and easy to wash! Take the children’s lead when you are introducing activities. Starting with the same song every time can help settle the kids in. If they are feeling wiggly, add in an active game. If they are feeling tired, invite them to lie down and do a breathing exercise. Use whispers, a clapping rhythm or an instrument like a bell to get the kids’ attention when things get too loud. Any of these strategies is much more warming than a shout! Ending with a special tradition such as goodbye song or a clean-up activity can help the children feel a sense of closure. Lastly, don’t be too hard on yourself if things get a bit crazy sometimes. Let the kids be kids and just try to have fun together. Keeping expectations age-appropriate and realistic is important to every parent’s and teacher’s sanity. What other tips do you have for how to prepare preschoolers for group activities? I received product from Recycled Mats to review for this post. All opinions are my own. To read more about reviews on my website, visit this page.